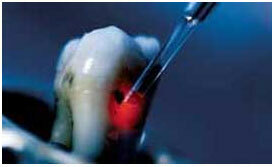 Stoma Advanced Dental Care has incorporated laser dentistry into its procedures. This ultramodern solution helps not only with anxiety, but which provide excellent options for those who want to accomplish multiple procedures in a single appointment. We can perform both tooth and soft tissue (gum) procedures, usually without the need for local anaesthetic. It also gives patients the possibility of foregoing the sounds, heat, and vibration of drills – common discomforts known to scare patients away. Therefore, in order to get the smile you've always wanted, you may want to consider laser dentistry as the best route for your condition. The performance of many soft tissue (gum) procedures with little or no bleeding. (Coagulation) of exposed blood vessels, thus inhibiting blood loss. The pain associated with the drill is due to heat and vibration. This is why a local anesthetic (needle) is required. 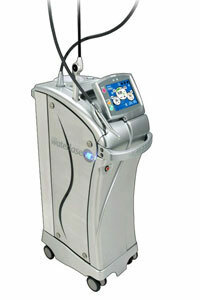 Since there is no heat or vibration, the need for such anesthesia is virtually eliminated (in most cases). The conventional drill can create a smear layer (dead organic material) on the tooth surface, which can affect the bonding of your new filling. The laser creates a surface with no smear layer, thus creating an ideal surface for your new filling to adhere to. This of course, means your filling lasts longer. 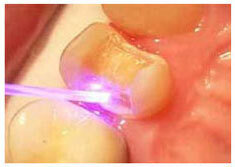 Cavity Detector: Low intensity soft tissue dental lasers are be used for early detection of caries. Dental fillings: This eliminates the need for a local anaesthetic injection and the traditional turbine dental drill. Lasers used in dental filling procedures are capable of killing bacteria in a cavity, potentially leading to improved long term results. Sensitive teeth: Dental lasers may be used to seal tubules (located on the root of the tooth) that are responsible for hot and cold tooth sensitivity. Thus the pain due to sensitive teeth. Crown Lengthening : Dental lasers can reshape gum tissue (soft tissue laser) and bone (hard tissue laser) to expose healthier tooth structure. Referred to as crown lengthening, such reshaping provides a stronger foundation for the placement of restorations. Gummy Smile : Dental lasers can reshape gum tissue to expose healthy tooth structure and improve the appearance of a gummy smile. Muscle Attachment (Frenula) : A laser frenectomy is an ideal treatment option for children who are tongue tied (restricted or tight frenulum) and babies unable to breast feed adequately due to limited tongue movement. A laser frenectomy may also help to eliminate speech impediments. Benign Tumors: Dental lasers may be used for the painless and suture-free removal of benign tumours from the gums, palate, sides of cheeks and lips. Teeth Whitening: Low intensity soft tissue dental lasers may be used to speed up the bleaching process associated in teeth whitening.